The wrap is almost 40 percent complete and I have knit two more inches on my father’s sweater. I am now hoping to finish the wrap by tomorrow and then cast on several more projects that are… a touch more portable. For now: back to the wrap, I’m on a roll!! How are your holiday preparations coming? Cookies baked? Trees trimmed? Other festivities planned? Let me in on some of your secrets. 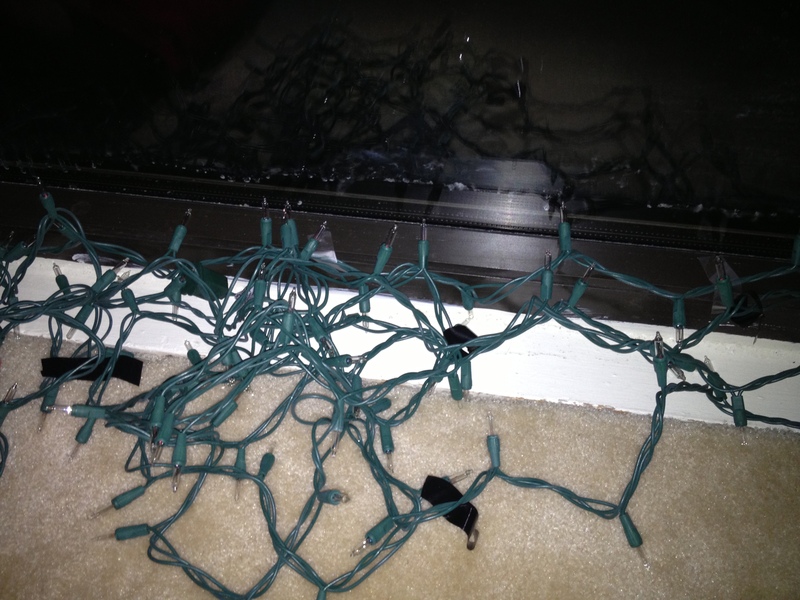 And if anyone knows the best way to hang lights on the inside of windows… please comment. Because every time a string of lights falls, so does my Christmas joy.